In a conventional full range compression driver the phase plug must be located extremely close to the diaphragm, excursion of the diaphragm is limited and middle frequency perfomance is compromised. 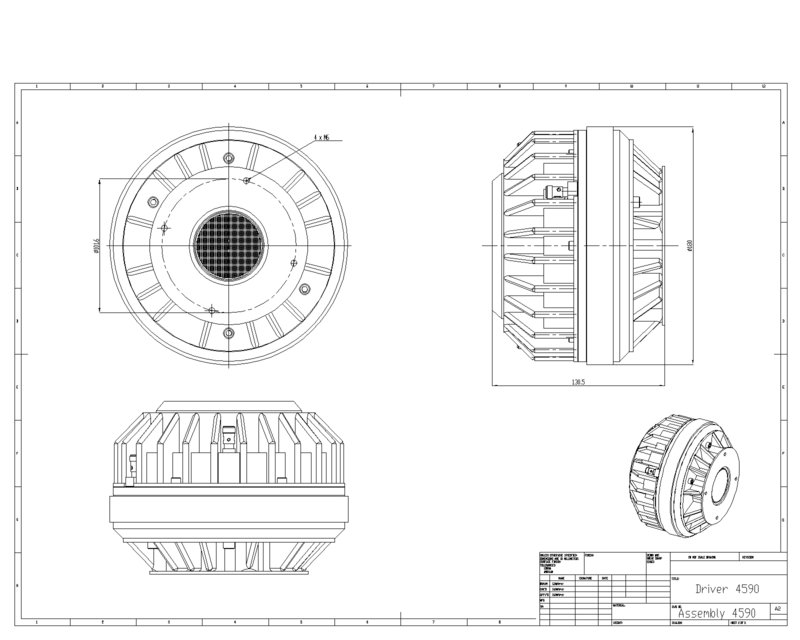 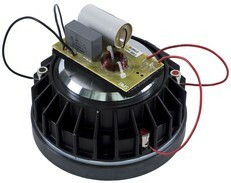 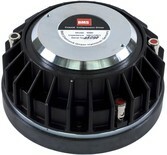 A typical 2" dome compression driver has a limited high frequency response. 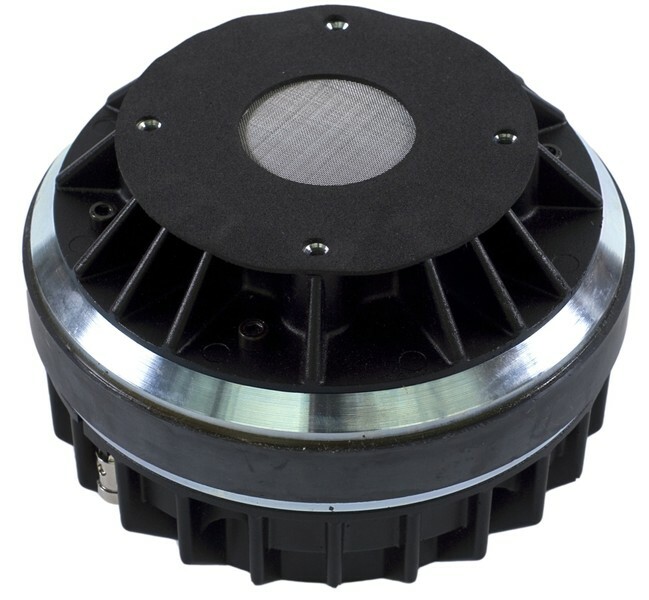 Above 8 kHz the dome diaphragm breaks up causing resonance and harsh metallic sound. 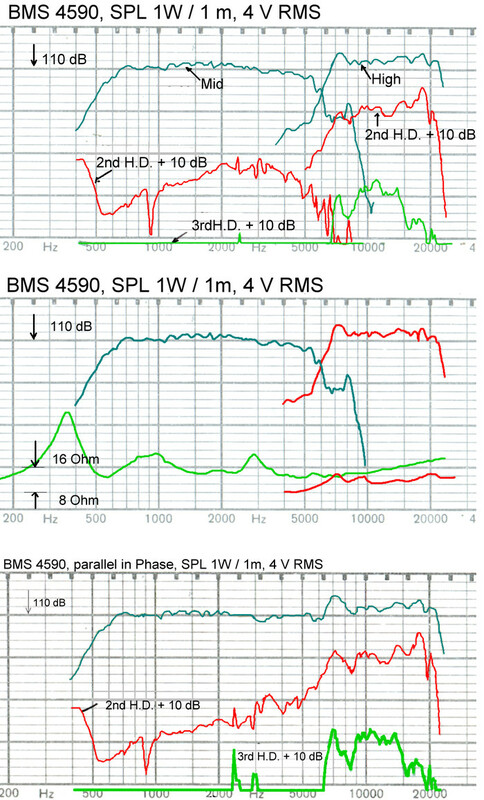 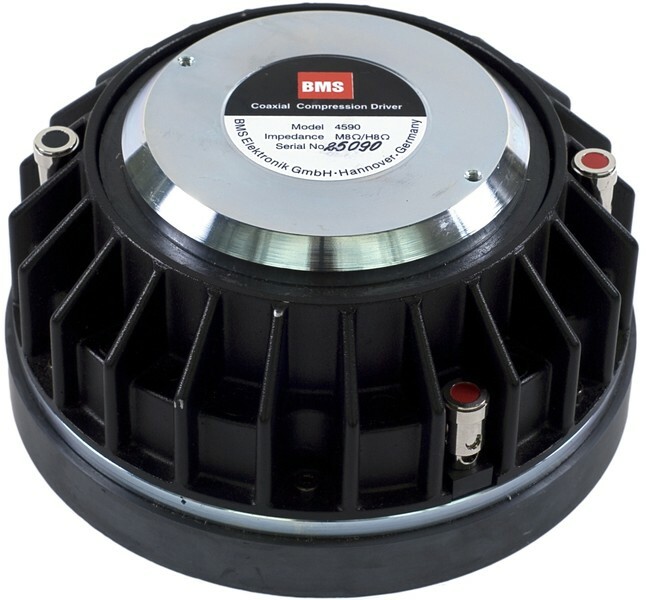 The BMS annular midrange diaphragm covers the frequency range between 400 and 7000 Hz with a smooth linear response. 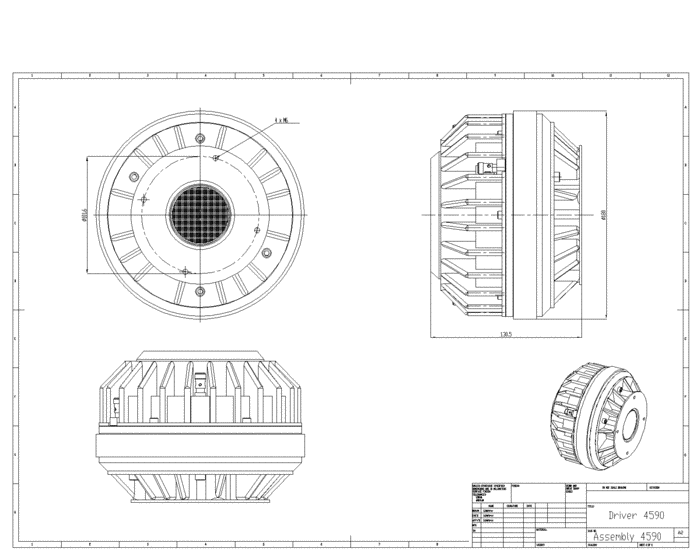 The large diaphragm excursion of max. 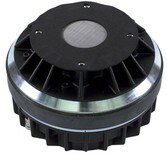 +/- 0.8 mm results in high output and increases power handling up to 1300 W peak. The ultra light annular diaphragm for the high range offers exceptional transient response with very high efficiency between 6 and 22 kHz.